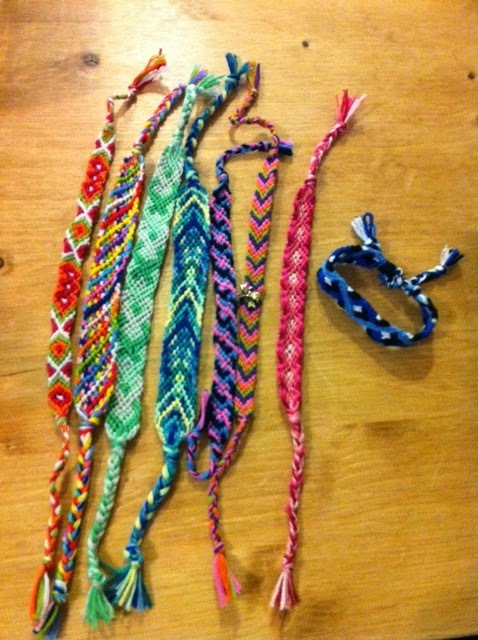 The last time I posted I was having a go at making friendship bracelets. Since then I have discovered friendship-bracelets.net . It is a great resource full of different patterns for you to follow or you can even design your own patterns on there. Here is a photo of some of the ones I've had a go at. The most strings I've used is 14 but there are designs for up to 66 strings. Some of the designs are amazing, go have a look!